Our solar water heater system uses the sun to deliver your hot water year-round and saves you up to 30% on your energy bill. You can also currently receive $1000 back from FPL and a 30% tax credit at the end of the year. The time to go solar is now! Uniquely, our system utilizes a solar panel to power the pump so your system can be fully free of electricity and you will still get hot water even during an extended power outage.Our system also has a built-in electric heater just in-case you need extra hot water or the weather is bad for several days. How it works: The system is fully automatic and will turn on and off daily, collecting heat whenever it is available. The pump then circulates colder water (from the bottom of your special solar storage tank) through your solar collector(s), and returns the heated water to the tank. This cycle continues as long as the sun is available to provide heat to your water. When there is not heat available, the controller turns the pump off, and closes the check valve to prevent any loss of heat from the tank. If your family ever needs more hot water than the sun can provide, the system's back-up heating element automatically takes over, insuring that you will always have all the hot water you need. Qualified: no under qualified installers and the owner is typically on-site for all installs. Safety & Convenience: a unique, safe purge system is included with an easy, efficient way to purge the system during freezes, vacations and system maintenance. It also improves the life of the system (to about 20 years). Smarter Control: solar powered control valve that utilizes zero electric. Aesthetic Blending: outside pipe insulation is painted to match the house color. Temperature Control: an optional regulate temperature valve (Mixing Valve) is available for child safety and does not diminish the efficiency of the unit. This makes sure the water coming out is not too hot for users. Contact The Energy Outlet today for more information on how you can save money, reduce your carbon footprint and get the best solar water heater system around. 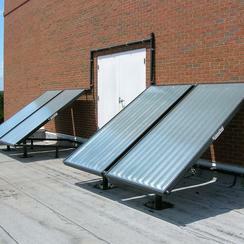 Our solar pool heating system takes advantage of the most abundant energy source available: the sun. Unlike electric or gas heating options, the sun doesn't send you a bill. It just keeps on shining and warming. After installation, your pool will be heated free for many years to come and you will enjoy your pool for a much longer season. Pool and spa combination packages are also available. Quality products and installation: Every panel manufactured undergoes an internal pressure test 105 psi before being approved for shipment and installation (panels typically operate at only 12-40 psi). We are licensed and ensure all products will work to their fullest potential and are installed by highly qualified, licensed installers. For extra savings, variable speed pumps also available. 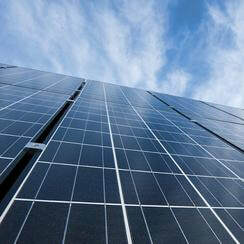 Our solar panels (solar PV) uses the sun to create energy and can save you up to 100% on your energy bill. You can also currently receive a 30% tax credit at the end of the year. The time to go solar is now! Our system will generate clean energy from the sun reducing your dependency on utilities, and in Florida you can even sell back the excess to your local utility. 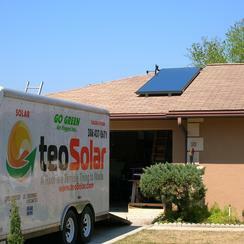 TEO Solar’s solar panel systems are quiet and operate automatically. The system "wakes up" and begins to deliver power as the sun rises and "goes to sleep" as the sun sets. On-site installation can be completed within a few days. Because there are no moving parts. Grid-Tie Systems are virtually maintenance free. All components carry an Underwriters Laboratory (UL) listing and meet the National Electrical Code, the benchmark for safe and efficient electrical installations. TEO Solar’s solar panel system is mounted in your garage, basement or on the outside of your home and includes: Inverter with LCD meter- converts DC Power produced by the solar modules to household AC Power. AC/DC disconnect switches which allows the modules to be disconnected from the inverter and the inverter to be disconnected from the utility grid. Optional kWh Electric Meter displays net power produced by your solar power system. We install residential solar grid-tie systems from 1 KW to 10 KW. TEO Solar can design, engineer, manufacture and install solar for residential properties, commercial properties, well pumps, livestock drinking water, irrigation systems, trailers, stables and more. Investing in solar panels: Why invest? Here are just some of the benefits to going solar! TEO Solar offers all types of solar products for both residential and commercial including solar attic fans, solar lighting solutions, solar street lights, solar dock lights, solar backup systems and more. Not convinced? Find out what our customers are saying or what makes us better than the rest. Need a repair or help with maintenance of your solar product? Even if it is not installed by us, we can help. Contact us today for more information on any of your solar needs. kilowatt-hours of power every year. Saying it in another way, the sun provides enough energy to the earth to satisfy the world's energy needs for a whole year in only 40 minutes. 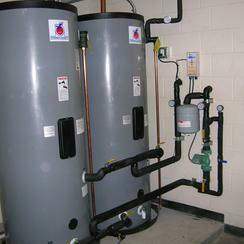 Your electric water heater can use as much energy as an automobile? 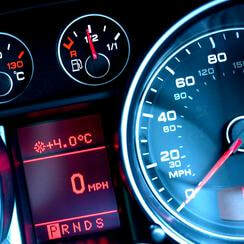 A car gets 22 mpg and travels 12000 miles in a year, consumes approximately 11.4 barrels of oil. In other words, installing a Solar Domestic Hot Water System in your home provides the same environmental and energy savings benefits as taking an average car off the road. 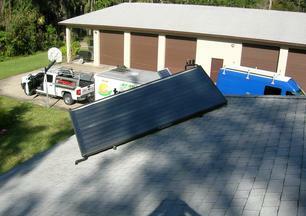 A million plus Floridians are currently harnessing the sun's unlimited, free energy with solar systems they own. These systems are estimated to be saving over 500 million kilowatt hours of electricity every year.